If you’re looking for the perfect Christmas gift for your grandchildren, I think I may have found it for you. 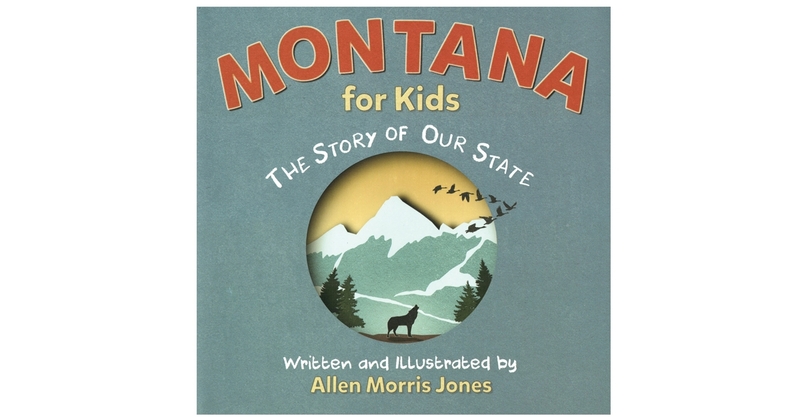 It’s called Montana for Kids: The Story of Our State, written and illustrated by Allen Morris Jones. From Bangtail Press in Bozeman comes this lovely book for children in the 4- to 10-year-old range that tells the basic story of Montana in simple, straightforward language. Jones uses an interesting mix of historical paintings and photographs laid over a background of kid-friendly, collage-style art to illustrate the text. The combination is just the right blend of engaging imagery for kids, reminiscent of Jon Klassen or Bill Martin, Jr. The narrative is bright and economical, which is perfect for introducing kids to history. Kids tend to be hard on books, and I am delighted that the publisher used heavy stock for this one, so that the pages are both easy to turn and will resist tears. A solid book feels good to hold in the hands, and too often production values get ignored when it comes to children’s literature. This is the kind of well-made book that tends to outlast more than one curious mind and a few sets of grubby hands — the sort of book that your grandkids will have to pass on to their own kids, eventually.